If you have watched the Pope’s visit much this week, you probably noticed that he has a constant companion – as he meets with dignitaries and politicians, as he says mass, as he gets in and out of his Italian Fiat. The man who is serving as the pope’s translator and assistant is mild-mannered, unassuming Monsignor Mark Miles from Gibraltar. With only four of the pope’s eighteen public addresses in English, this 48 year old monsignor is very busy during Pope Francis’ visit to the U.S.
Monsignor Miles denies interviews, unobtrusively stands in the background, and speaks the pontiff’s words with the same enthusiasm and compassion that Pope Francis conveys in his native tongue. 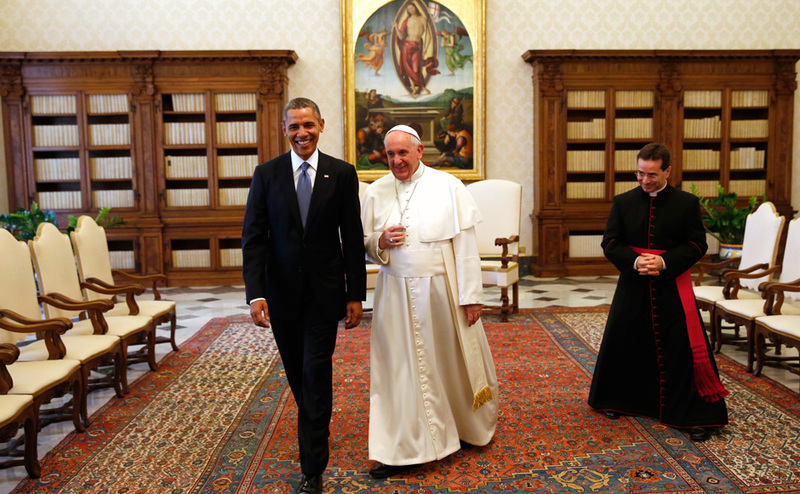 His humbleness is inspiring and his joy to be near the Holy Father obvious. May we all be so humble, blending into the background, spreading the Word of God, and keeping others’ focus on His work.